नई दिल्ली: पुलवामा हमले के बाद भारत और पाकिस्तान के रिश्ते और ज्यादा कड़वे हो गए हैं. स्थिति युद्ध तक की आ गई थी. भारत ने बदला लेने के लिए एयर स्ट्राइक किया तो पाकिस्तान ने भी जवाबी कार्रवाई में F-16 को भेजा जिसे एयरफोर्स ने मार गिराया. माहौल चुनावी है तो यह मुद्दा गरमाया हुआ है. राजनेता पाकिस्तान के खिलाफ आग उगल रहे हैं. ऐसे माहौल में जब हर कोई पाकिस्तान को नेस्त नाबूत करने की बात कर रहा है, एक रैप बहुत तेजी से वायरल हो रहा है. इस रैप के पाकिस्तानी कलाकारों ने तैयार किया है. रैप के जरिए पाकिस्तानी कलाकारों ने दोनों मुल्क के लोगों से शांति की अपील की है. इस रैप को बुशरा अंसारी जो एक पाकिस्तानी एक्ट्रेस और सिंगर ने अपने आधिकारिक यूट्यूब अकाउंट पर पोस्ट किया है. इस वीडियो को 3 अप्रैल को पोस्ट किया गया है, जिसे अब तक करीब 13 लाख लोग देख चुके हैं. इस रैप का टाइटल है, “Humsaye maa jaye”. पाकिस्तानी मीडिया ‘Dawn’ के मुताबिक इस वीडियो में आसमा अब्बास और बुशरा अंसारी ने परफॉर्म किया है. नीलम अहमद बशीर ने रैप लिखा है. वीडियो में आप देख सकते हैं कि बुशरा अंसारी ने भारतीय और आसमा ने पाकिस्तानी का रोल प्ले किया है. रैप के जरिए वे बताते हैं कि भारत और पाकिस्तान में कुछ भी अलग नहीं है. सबकुछ तो एक जैसा ही है, इसके बावजूद टेंशन क्यों है. 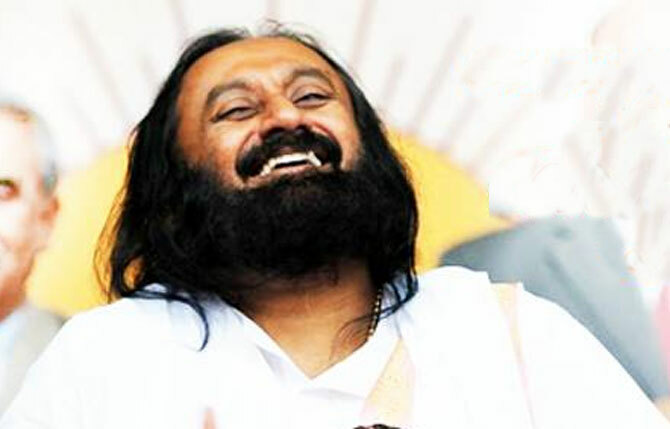 वीडियो के जरिए संदेश दिया गया है कि कोई भी आम हिंदुस्तानी और पाकिस्तानी जंग नहीं चाहता है. वे शांति चाहते हैं. जो कुछ हो रहा है वह राजनीति से प्रेरित है. 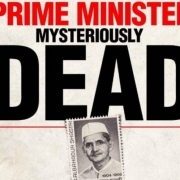 पाकिस्तानी मीडिया के हवाले से बुशरा अंसारी ने कहा कि इस वीडियो को सरहद के इस पार और उस पार, दोनों तरफ पसंद किया जा रहा है. मेरा इनबॉक्स शुभकामनाओं और संदेश से भरा हुआ है. 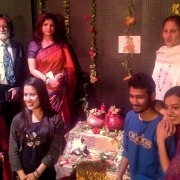 The Department of Indian Theatre celebrated World Theatre Day, today in the presence of eminent Theatre personalities like Prof. Mahendra Kumar (Emeritus Professor), Prof. Rani BalbirKaur (Emeritus Professor), Dr.NavdeepKaur, Chairperson, Department of Indian Theatre and Ms.ShvetaMahendra, Assistant Professor, Department of Indian Theatre. They blessed the students of the department on this special day. 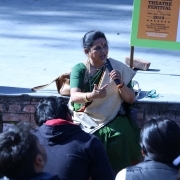 Dr.NavdeepKaur initiated the discussion on the emerging trends in Theatre and all the personalities and students participated in the discussion on searching new language of theatre. Some innovative performances were also presented by the students of the department, on this occasion. 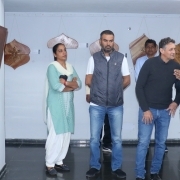 collaboration with Social Substance organized Solo Art Exhibition by Sureel Kumar titled “The Whispering Wood”, at Fine Arts’ Museum, Punjab University, Chandigarh from 25 March – 29 March 2019 which was Inaugurated, here today by Sh. Diwan Manna, Artist & President, Punjab Lalit Kala Akademi, Chandigarh. 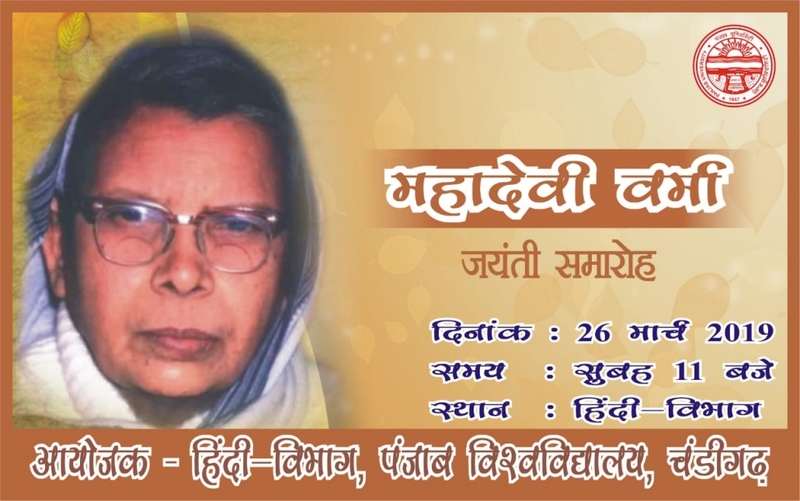 The program will begin at 11 am with a screening of short film on life and literary works of Mahadevi Verma. This will be followed by student presentations on various aspects of her works. Ritu (research scholar), Indu, Rajvinder, Kanchog Paldan (students) will be the presenters. Usha (research scholar) will conduct the program. Certificates will be distributed to students and research scholars during the event. 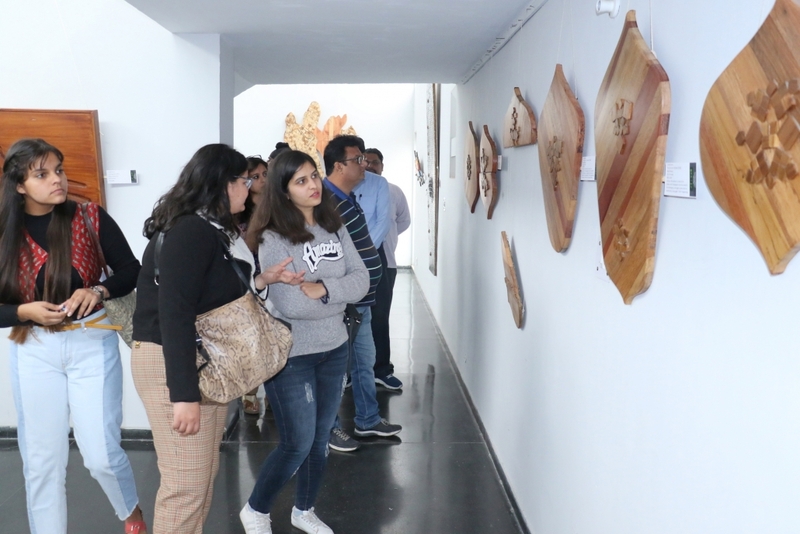 मुंबई: अभिनेत्री उर्मिला मातोंडकर राजनीतिक पारी की शुरुआत कर सकती हैं. सूत्रों का कहना है कि वह अगले दो-तीन दिनों में कांग्रेस ज्वाइन कर सकती हैं. बताया जा रहा है कि उर्मिला को कांग्रेस नॉर्थ मुंबई लोकसभा सीट से प्रत्याशी बना सकती है. इस सीट पर बीजेपी ने गोपाल शेट्टी को उम्मीदवार बनाया है. कांग्रेस की रणनीति है कि वह गोपाल के खिलाफ ग्लैमरस चेहरा मैदान में उतारे. इसी वजह से उर्मिला को चुनाव में उतारने की तैयारी हो रही है. 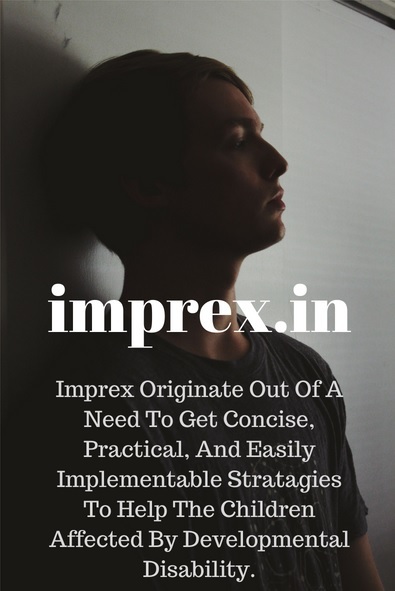 लोकसभा चुनाव 2019 (Lok sabha elections 2019) में नॉर्थ मुंबई सें मराठी अभिनेत्री आसावरी जोशी और शिल्पा शिंदे ने भी कांग्रेस से टिकट की मांग की है, लेकिन अब तक इस पर फैसला नहीं हो पाया है. साल 2014 के लोकसभा चुनाव में नॉर्थ मुंबई सीट से कांग्रेस की ओर से संजय निरुपम ने चुनाव लड़ा था, लेकिन वे बीजेपी के गोपाल शेट्टी से हार गए थे. जीत और हार का फासला भी बड़ा था, जिसके चलते संजय निरुपम इस बार नॉर्थ वेस्ट मुंबई से लड़ना चाहते हैं. मालूम हो कि उत्तर प्रदेश के रामपुर सीट पर समाजवादी पार्टी के कद्दावर नेता आजम खान के सामने बीजेपी अभिनेत्री जया प्रदा को उतारने की तैयारी कर रही है. इससे पहले सपना चौधरी के कांग्रेस में शामिल होने और चुनाव लड़ने की चर्चा थी. हालांकि सपना चौधरी ने कांग्रेस में शामिल होने से इनकार कर दिया है. फिल्म ‘द ताशकंद फाइल्स’ के मेकर्स ने फिल्म की पूरी कास्ट के फर्स्ट लुक पोस्टर्स को शुक्रवार को रिलीज कर दिया है. इस फिल्म में कई सारे नेशनल अवॉर्ड विनर स्टार्स एक साथ नजर आने वाले हैं. 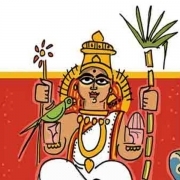 उनमें मिथुन चक्रवर्ती, पल्लवी जोशी, पंकज त्रिपाठी, श्वेता बसु प्रसाद और नसीरुद्दीन शाह जैसे सितारे हैं. आपकी जानकारी के लिए बता दें कि, ये फिल्म भारत के पूर्व प्रधानमंत्री लाल बहादुर शास्त्री के जीवन पर आधारित है. इस फिल्म में उनके मौत की पहेली को सुलझाने की कोशिश की जाएगी. लाल बहादुर शास्त्री की ताशकंद में रहस्यमयी तरीके से मौत हो गई थी. कई साल बाद बी ये खुलासा नहीं हो पाया कि उन्हें हर्ट अटैक आया था या फिर जहर दिया गया था. फिल्म का ट्रेलर 25 मार्च को रिलीज होने वाला है. ये फिल्म 12 अप्रैल को सिनेमाघरों में रिलीज होगी. 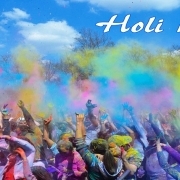 Holi is played in the Spring Season which is a period between end of winter and advent of summer. We normally go through the transition phase of winter and summer. The period induces the growth of bacteria in the atmosphere as well as in the body. When Holika is burnt, temperature of the nearby area raises around 50-60 degree Celsius. 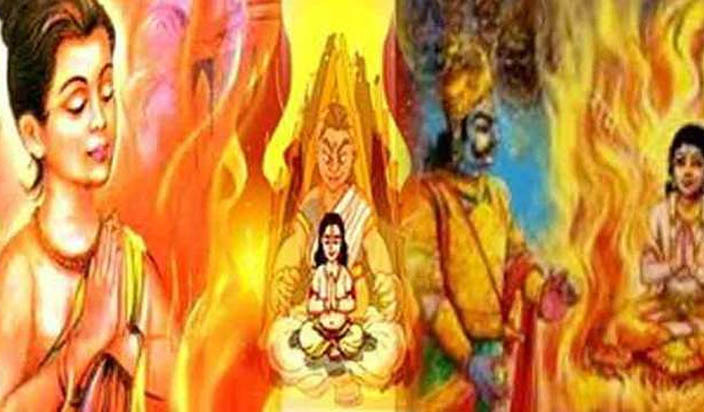 Following the tradition when people perform Parikrama (go around the bonfire/pyre), the heat coming from the bonfire kills the bacteria in the body and cleanses it. In some parts of the country, after Holika Dahan (burning of Holika) people put ash on their forehead and also mix Chandan (paste of sandal wood) with the young leaves and flowers of the Mango tree and consume. It is believed to promote good health. playing with colours also helps in the process. 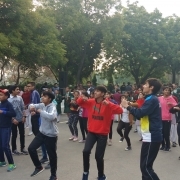 Colours play vital role in fitness of human body. Deficiency of a particular colour could cause an ailment and can be cured when that colour element is supplemented either through diet or medicine. 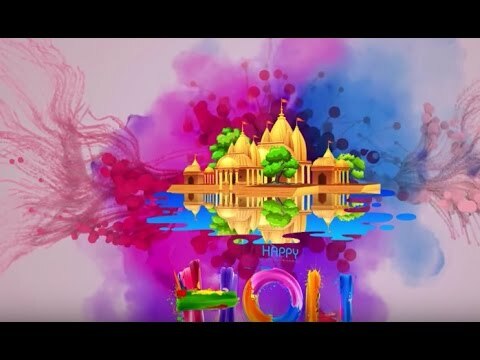 In ancient times, when people started playing Holi, the colours used by them were made from natural sources like turmeric, Neem, Palash (Tesu) etc. 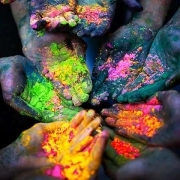 The playful pouring and throwing of colour powders made from these natural sources has a healing effect on the human body. 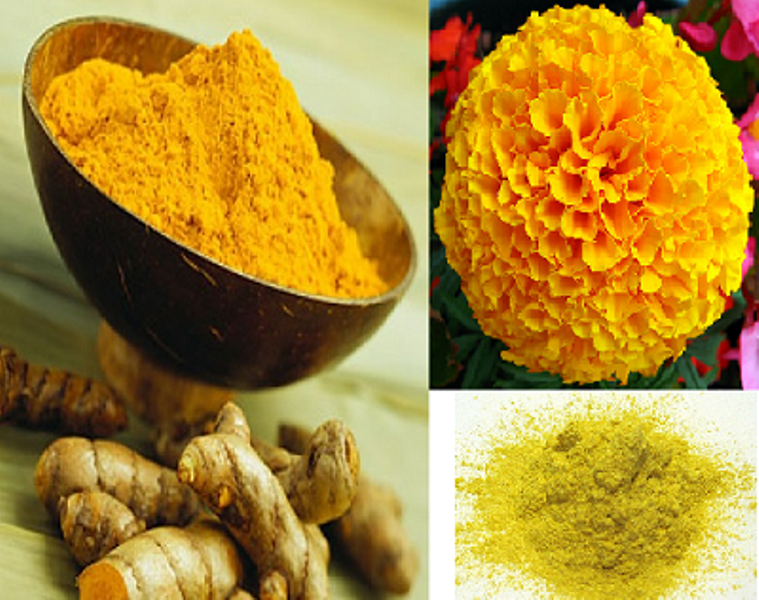 It has the effect of strengthening the ions in the body and adds health and beauty to it. Now a day, market is mostly flooded with synthetic colours and herbal colours are not available in adequate quantity. Synthetic Colours are also cheap and people feel we have to pour this on others and not on ourselves, hence they opt for it. But they forget one thing that everybody thinks in the same way and others also pour you with same synthetic colours. The synthetic colours available in the market comprises of toxic components such as lead oxide, diesel, chromium iodine and copper sulphate which lead to rashes on the skin, allergies, pigmentation, frizzy hair and eye irritation. In extreme cases, it can cause serious skin diseases and clogging of hair cuticles resulting in severe hair damage. So we should deliberately opt for herbal colours even if it is costly. If demand increases, the cost would naturally come down. Green – It might contain copper sulphate and can cause problems like eye allergy and temporary blindness. Red – It might contain mercury sulphide, which can lead to skin cancer, mental retardation, paralysis and impaired vision. Purple – It might contain chromium iodide leading to health problems like bronchial asthma and allergies. Silver – It might contain aluminum bromide, which is carcinogenic. Blue – It might contain Prussian blue, which can cause contract dermatitis. Black – It might contain lead oxide leading to health problems like renal failure and learning disability. Body: It’s also a good idea to apply a thick layer of moisturizer, petroleum jelly or coconut oil on your face and other exposed parts of the body to prevent colours from coming into direct contact with your skin. Hair: Oil your hair and scalp with olive, coconut or castor oil. Add a few drops of lemon juice to prevent dandruff and infection triggered by the chemical colours. Clothing: What you choose to wear should cover maximum parts of your body. Wear dark colour-full sleeves cotton clothes. Synthetic cloth would be sticky and denims would be heavy once you have a bucket full of colours/water splashed on you. Lips and Eyes: Don’t wear lenses. Mostly people are interested in applying surprise colours on your face and you may get your eyes hurt by the lenses. Use a sun glass to protect your eyes from a misfire of colour filled darts or water jets. Apply a lip balm for your lips. 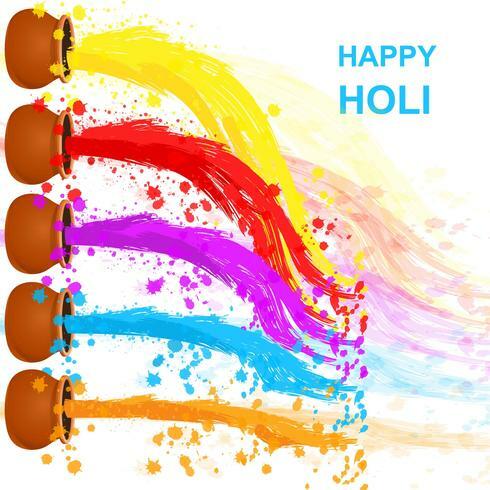 Water: Drink plenty of water before you start playing Holi. This will keep your skin hydrated. 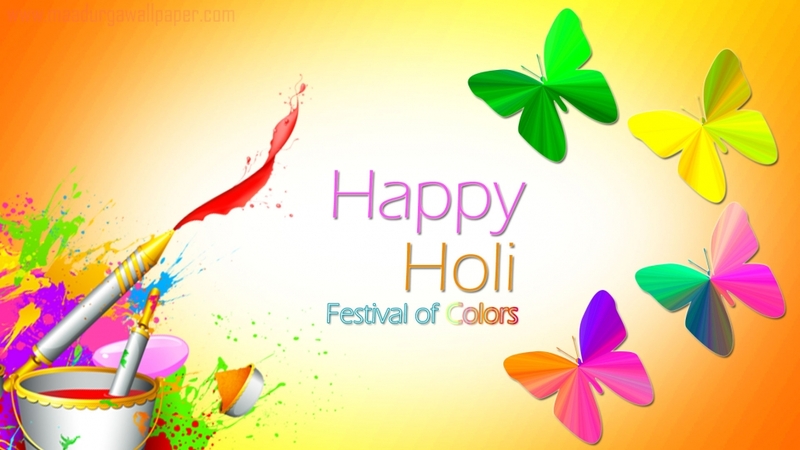 Also keep sipping water carefully while playing Holi. Bhang/Alcohol: Don’t consume bhang if you are a heart patient, excessive intake may lead to heart attack/failure. Do not scrub the colour off with soap. Soaps contain esters that erode the skin layers and often cause rashes. Use a cream-based cleanser or you can even use oil for removing the colours, and then go for a bath. Apply a lot of moisturising cream to keep the skin hydrated. If the colours are still left on your skin you can apply besan with milk/milk cream on your body for removing colours. Don’t use kerosene, spirit or petrol to clean your face. Try a cream-based cleanser or baby oil. Don’t use hot water, it will stick the colour on your body. Use normal water. Stay away from sunlight till colour is removed. Itching in eye or redness may be normal but if it continues for more than few hours immediately contact with a doctor. 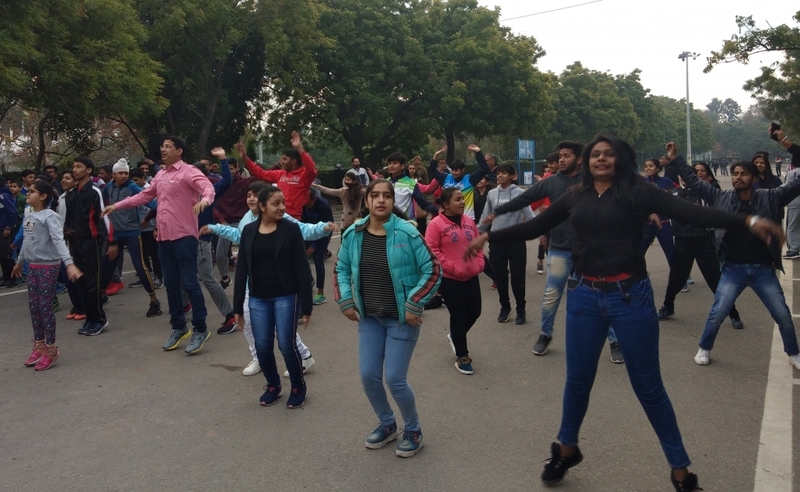 A workshop based on an important elements of Theatre & Dance ”Rass & Bhaav” was organized on 27th day under the 14th Winter National TheaterFestival , conducted by well-known dance guru, Mrs SuchitraMitraji. Suchitraji is proficient in Bharatanatyam, Kathakkali, Manipuri and Assamese dance styles, and the country has given many performances abroad. To express the feeling within your conscience. According to SuchitrajiNatyaShastra, the four types of acting are considered as sattvik, Aangik,Vaachik, and Aharyik. 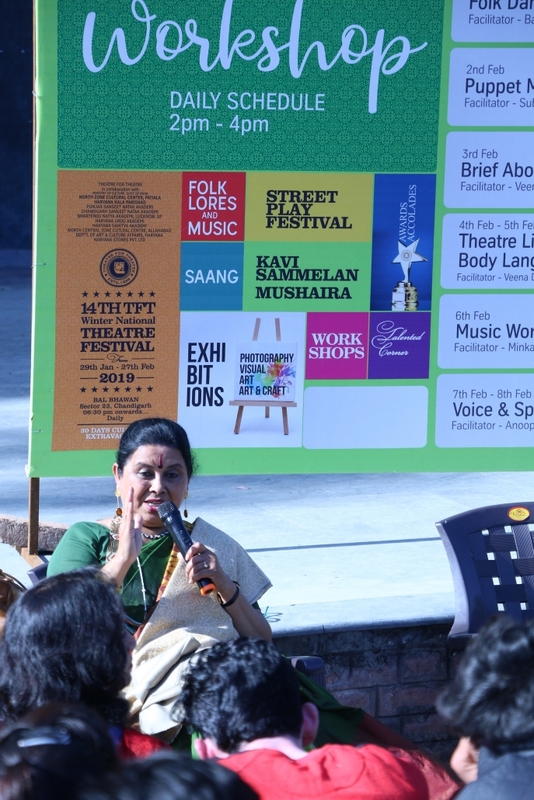 Suchitraji also told that a strong actor has the identity that he is associated with the audience through imagination and hypothesis in such a way that the audience feels himself connected with that story. On Monday, the workshop of Suchitraji will be extended under the second session, in which young artists will get some new nuances related to ”Rass & Bhaavs” .